Apologies for the long stretch between entries. After the excitement of construction died down, the business of day to day busyness got in the way of keeping you all updated. If you came to the fair last month, or have driven down Main Street since then, you have seen our beautiful new finished façade. It looks great during the day, and it looks even better at night! This is likely to be the last update to this blog, as construction is now complete. We could surprise you, though, so don't stop watching this space. If you "like" us on Facebook or follow us on Twitter, you'll be notified there of any updates to this blog. 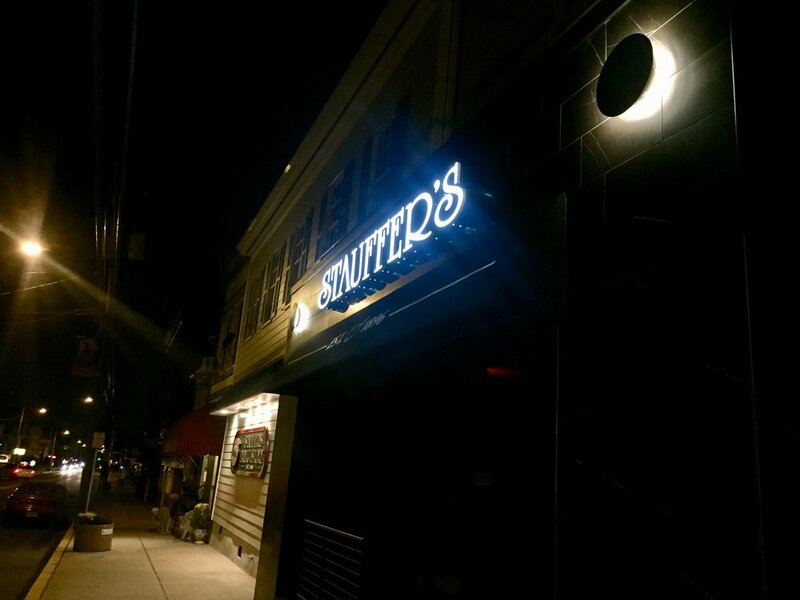 Also, we won't stop posting on those sites, so if you want to keep up with what's happening at Stauffer's Drug Store, those are the places to do it.